If you’ve been looking for a spacious new home that offers you modern comfort and must-have conveniences, look no further. 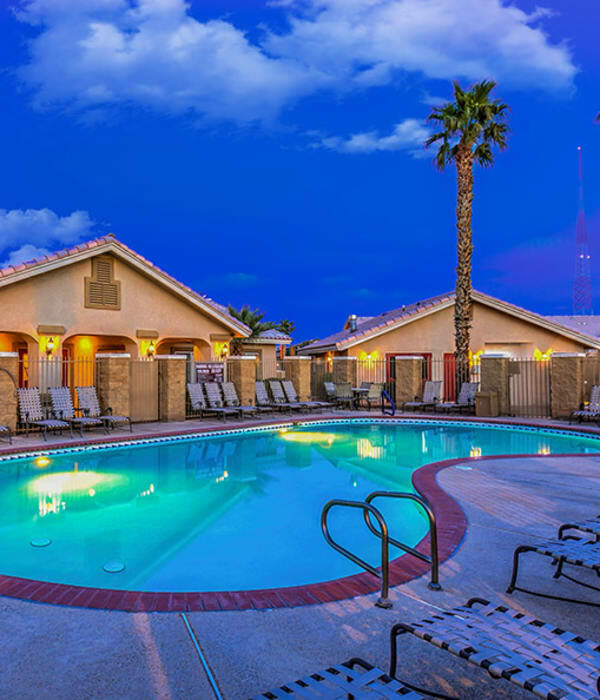 Portola Del Sol boasts a wealth of amenities, both inside your home and beyond your front door. Your apartment comes outfitted with the updated touches that make your new space a home. Love cooking? Get ready for the sparkle of stainless-steel appliances, including an energy-efficient dishwasher to make clean-up a breeze. Enjoy your creations in the dedicated dining room, or at the breakfast bar if you’re in a hurry. Want to make better use of your space? Walk-in closets and a kitchen pantry can help you get organized. Pressed for time? An in-home washer and dryer mean you’ll never have to worry about laundry day again. Need a place where you can get away from it all at the end of a long day? Unwind with a soak in the hot tub, or go for a relaxing swim on hot summer nights. Ready to commit to a new fitness program? Never miss a workout with a fitness center just steps from your door. Need a place for the dogs to run? Let them play in the on-site dog park to work off some energy. Love dining al fresco? Head to our newly updated BBQ and picnic area for a cookout. Ready to experience Portola Del Sol for yourself? Contact us today for a tour.